Studies have shown the average person normally wouldn’t experience medical or functional issues directly related to aging until at least 70-75+ years old. 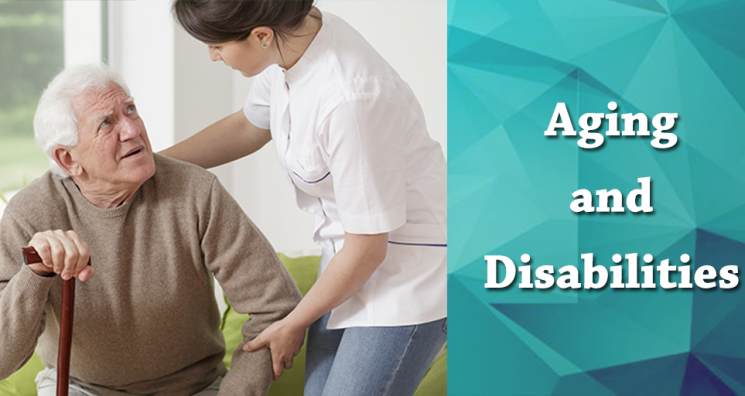 However, it has been shown that people with a disability tend to develop these issues 20-25 years sooner! These same individuals are also 3-4 times more likely then their nondisabled peers, to develop secondary health problems. These include but are not limited to Diabetes, Cardiovascular Disease, Fractures, and Osteoporosis. 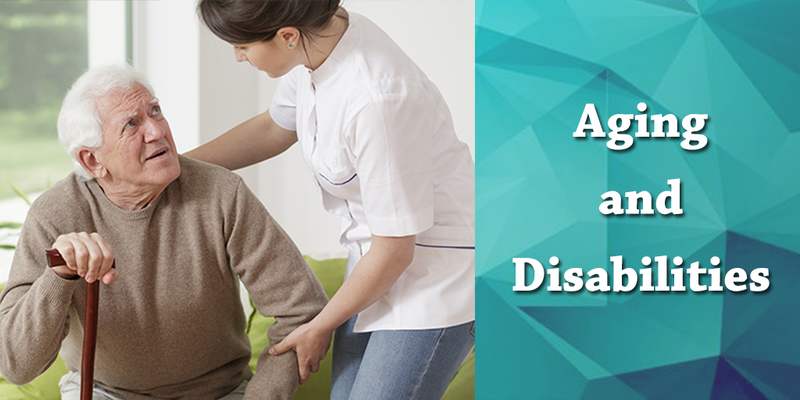 These are due to a number of different aspects depending on the type and severity of the disability. Aging with a disability is hard enough as it is and with the addition of functional problems can become over baring. Regardless of the original disability, it is common for individuals to begin experiencing a sudden weakness or loss of strength, decreased endurance, limited range of motion and in some cases an increase in pain. As these symptoms progress, it can become inherently difficult to complete basic daily tasks such as feeding or dressing oneself, shopping, or getting around from place to place. Seeing as many people with disabilities can develop these at an earlier age (40-50 years old), employment and being able to complete the necessary tasks associated to your career can also be affected. Between at home care, physical rehabilitation and permanent disability, people with disabilities now more then ever, can get the help they need to support themselves and their families. It is important for anyone struggling with a disability to conduct some research of your own, because everyone is different and so are their disabilities and needs. Today, doing all we can to help those struggling with a disability has become a global responsibility. In 2006, the United Nations adopted the Convention on the Rights of Persons with Disabilities (CRPD). According to the UN the Convention, “takes to a new height the movement from viewing persons with disabilities as ‘objects’ of charity, medical treatment and social protection towards viewing persons with disabilities as ‘subjects’ with rights, who are capable of claiming those rights and making decisions for their lives based on their free and informed consent as well as being active members of society.” It highlights the legal obligation to promote and protect the rights of persons with disabilities both in society and individual development. Some key topics identified by the Convention are accessibility, living independently and being included in the community, personal mobility, and health. In addition to the CRPD, the UN has also implemented the Sustainable Development Goals (SDGs) of the 2030 Agenda which specifically references ending poverty, good health and well-being, decent work and sustainable communities, for older persons and persons with disabilities. An associate professor of physical medicine and rehabilitation at Michigan Medicine and a member of the Institute for Healthcare Policy and Innovation, Michelle Meade, Ph.D., once said “When we work in a health care system, we interact with patients with disabilities, but we don’t always understand what it’s like to live with a physical disability”. In this statement, she expresses the notion that only those living with a disability can truly understand what they are going through. No matter how much you study or how much time you spend with people who have disabilities, you will never know what it is like to walk in their shoes, but we can lend a helping hand. In a world where people are living longer and new scientific/medical breakthroughs are happening regularly, we must remember to continue taking strides towards making life better for everyone, regardless of our own abilities.